This is a very common question asked by convertible car owners, and it is good that you are asking the question before purchasing products that are not suitable for your soft top. 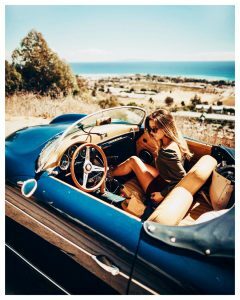 It is also important to remember that even if think you know a lot about convertibles, this doesn’t necessarily mean that the vehicle you have acquired second hand has its original top. If you are at all unsure it is best to check with the dealer or individual that you purchased the car from, to try to confirm whether the top is original or not. 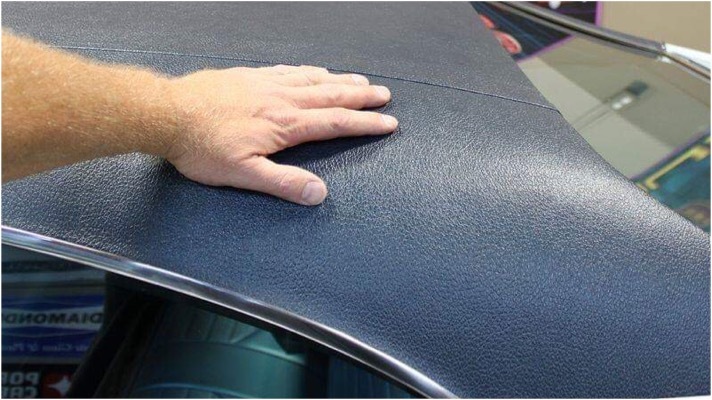 The best way to test whether your convertible top is vinyl or fabric is to place your hand on the top and feel for yourself. If it looks and feels similar to tent material, then you have a fabric roof, but if it looks and feels like grained plastic, then your top is in all probability, vinyl. 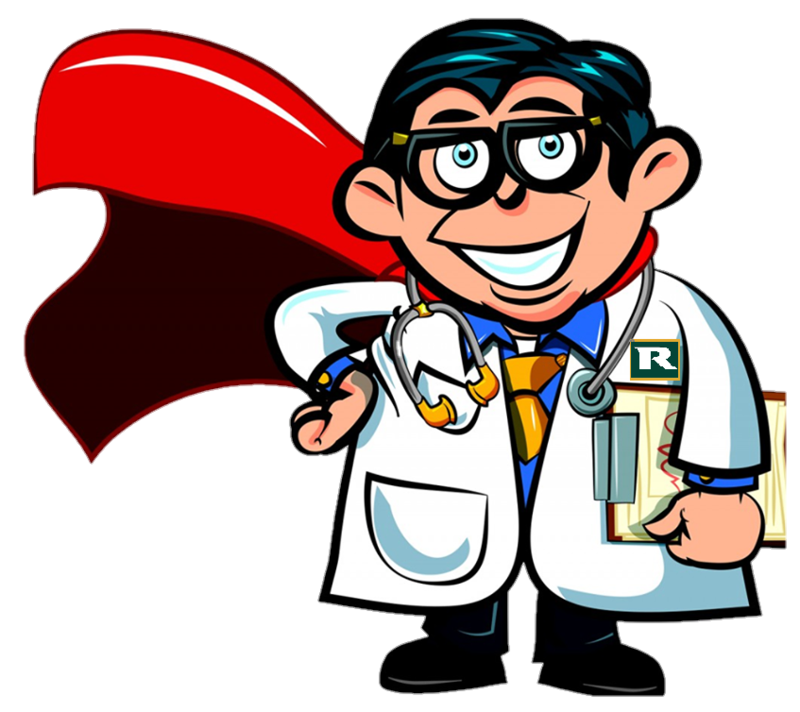 However, of course if you have doubts, then you can always visit your local coach trimmer, and they should be able to confirm it for you. 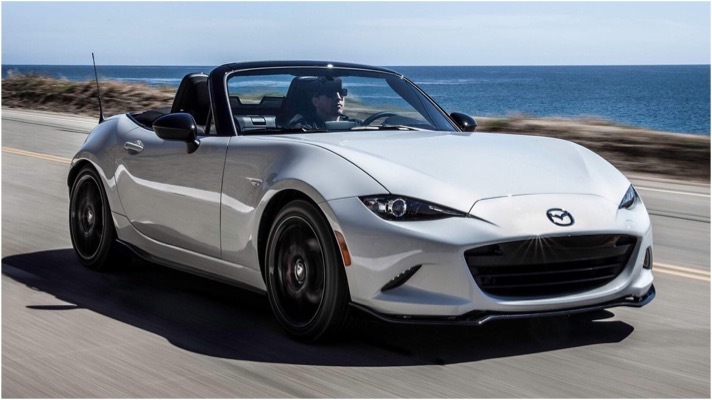 There are certain car models that can have either fabric or a vinyl top; such as the Mazda MX5. This can lead to great confusion amongst the MX5 community, causing concerns in regards to using incorrect products on their particular soft top. 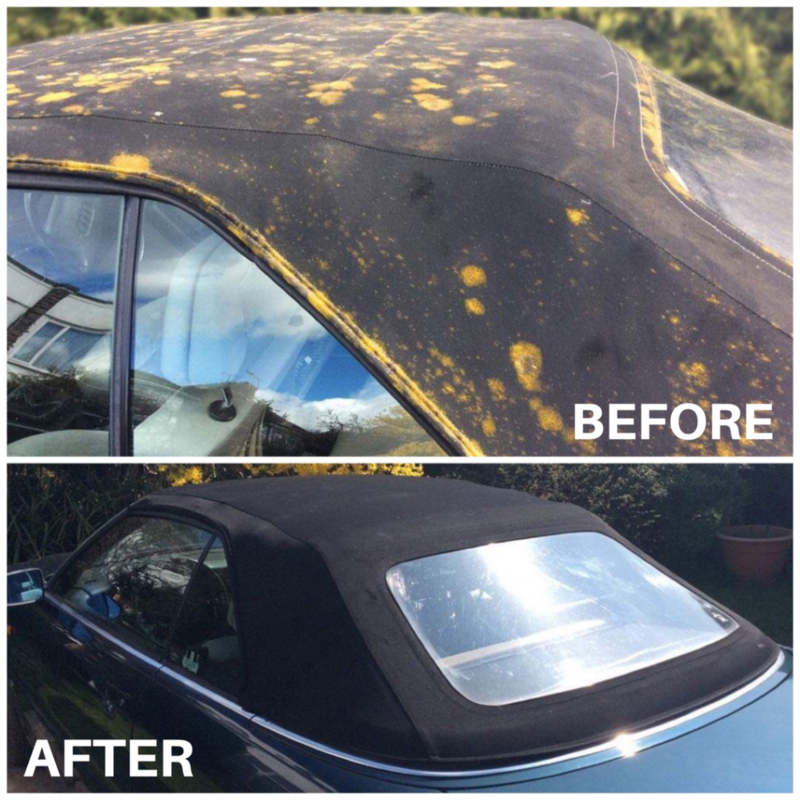 The Fabric Soft Top Cleaner has a slightly different formulation to the Vinyl Soft Top Cleaner, but don’t worry it would not cause damage to a vinyl soft top if it was used by mistake. However, obviously it would be best to use the right product for the best effect! On the other hand, the Ultra Proofer would not be able to absorb into vinyl, and therefore it would just settle on the top leaving a “milky” kind of haze. 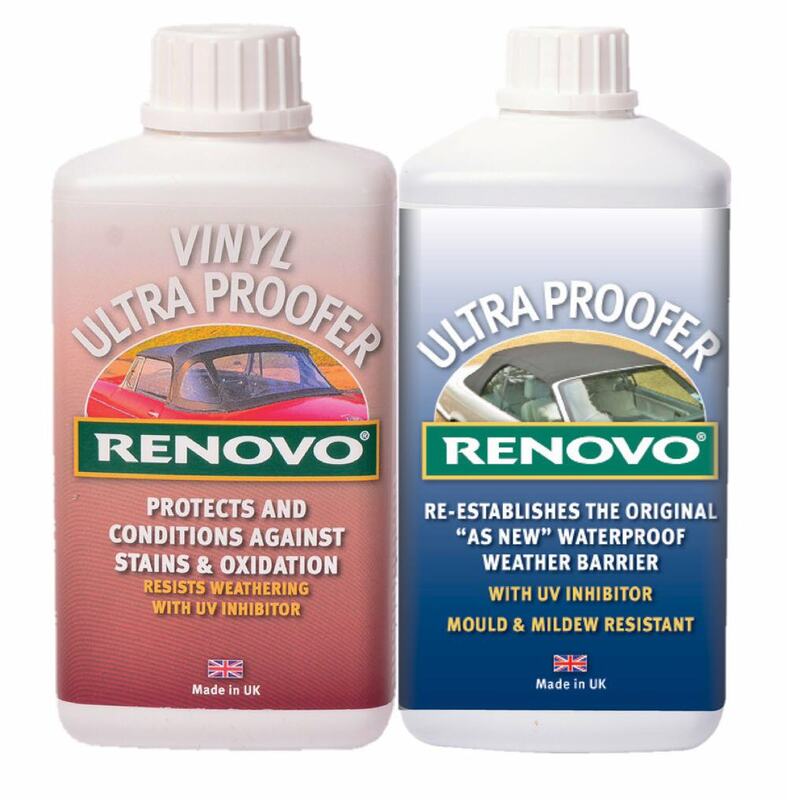 So it is important to purchase the Vinyl Ultra Proofer to ensure you get the best possible results for a vinyl top!